FIND YOUR ONE AT ONE MONUMENT AVENUE! 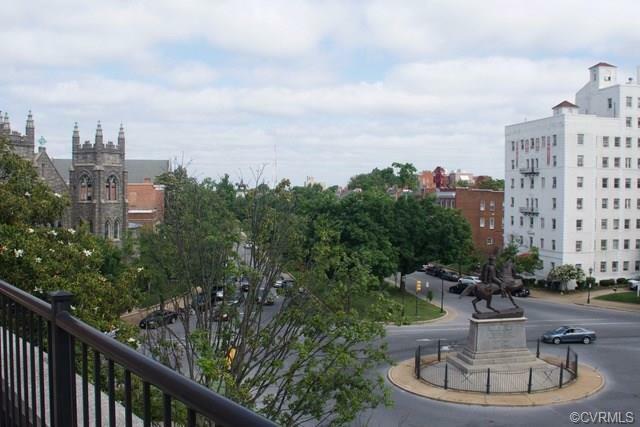 The NEW One Monument Condominiums and common areas are complete with an upscale luxury renovation by the best designers and contractors in Richmond! 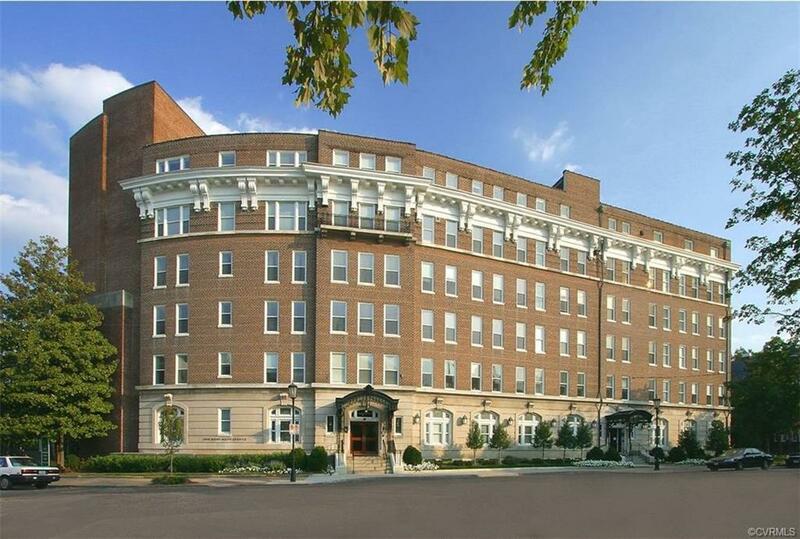 Amenities include 2 covered garage parking spaces per unit. 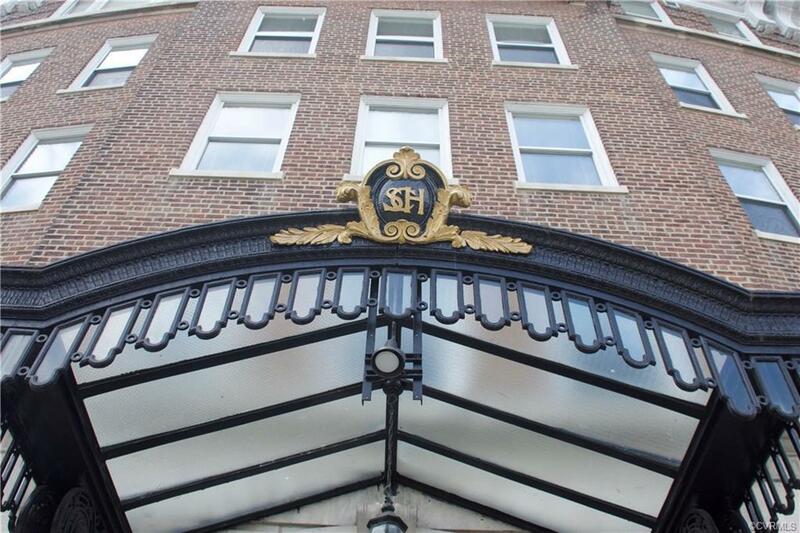 This secure building, with full-time doorman service, sprinklered throughout and in each condominium, features special amenities including the Wow factor of a well appointed lobby entry area, reception room, conference room, fitness center and rooftop deck with stunning views, especially of Monument Avenue, 2 outdoor courtyards and more! 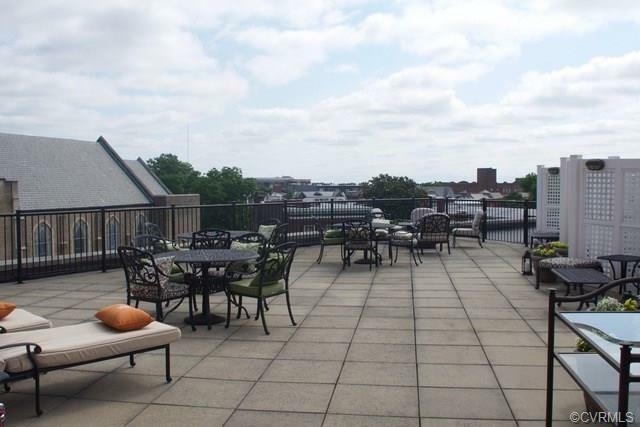 This condominium with highest walking score has easy access to restaurants, grocery, coffee shops, VCU, downtown and all things Fan. Fabulous opportunity to own and live on one level, maintenance free in the Fans best condominium building. Unit 5Es living room w/gas log fireplace overlooks renovated courtyard; upscale kitchen with stainless appliances, gas range, quality raised panel cabinetry; 2 bedrooms, 2 new ceramic tile and granite countertop bathrooms; new hardwood floors; new paint, ample storage and closets.